The Achieving Exponential Performance project is a collaborative effort of Patricia A. Craven, owner of Craven Consulting, LLC, and Claire F. Kuhl, owner of V&R Consulting, LLC. For this project, Claire is the principal researcher, synthesizer, and author. Trisha is the Chief Encouragement Officer and Asker-of-Tough-Questions. Together, we are committed to helping entrepreneurs, individual contributors, and managers achieve their own highest potential for performance in work and in life while helping everyone around them do the same. While we have a combined 60+ years of experience in business and leadership, neither of us has serious credentials in the sciences. And as the wacky “equations” quickly reveal, we are playing pretty fast and loose with mathematics. We want to be crystal clear that the materials presented here do not pretend to reflect original research from this team. Instead, this initiative seeks to integrate research findings from thought-leaders in disparate disciplines into a coherent and usable structure for personal and professional development. This project aspires to be a meta-analysis of current research and thinking in psychometrics, neuroscience, and psychology. In the sciences, a meta-analysis is an analysis of analyses. That is, a researcher takes the results of a large collection of published studies, usually studies performed by different investigators across different times and places, and statistically analyzes all of those results as a whole, looking for patterns. As defined and developed by Gene V. Glass, Ph.D. , a true meta-analysis is a rigorous statistical study. For the Achieving Exponential Performance project, Trisha and I are using the concept of meta-analysis in a much more casual way. Our goal is to translate the fruits of our voracious reading and studying of business and scientific literature, and synthesize them into a unified theory for how people can achieve and sustain effective careers as part of a fulfilling and meaningful life. Frankly, our hope is that you will read all of the materials listed on our Resources page for yourself, and them come back to this conversation with new insights and recommendations for yet more materials for us all to study and reflect upon. As you will see, researchers across many disciplines are simultaneously exploring similar questions, and it seems like new findings are being published every day. The new discoveries sometimes support and sometimes supersede earlier findings. Therefore, part of our intention is to update and enrich some areas that have become “common knowledge,” even though other, conflicting data have now been published. Patricia A. Craven is President and founder of Craven Consulting Group LLC, an experienced team of practitioners who provide strategic, organizational and workforce development services specializing in customized solutions. CCG’s existing client base comprises small and large businesses including, manufacturing, energy, trade associations, higher education, and non-profits. Trisha’s experience includes 23 years at Piedmont Technical College in Greenwood, SC, where she served as Associate Vice President from 2005-2010. Additionally, she worked 13 years at the South Carolina State Ports Authority where she was manager of the U.S. Foreign Trade Zones program for South Carolina and worked closely with federal and state agencies. An experienced coach, Trisha works effectively with executives, engineers, struggling leaders, and high-potential employees toward improvement, successful behavior modification and goal achievement. As a skilled trainer and facilitator, Trisha’s vibrant and passionate delivery provides audiences with an enriching learning experience. Trisha holds a Bachelor’s Degree in Political Science from Winthrop University, is a current member of the Greenwood Chamber of Commerce, a former board member and past chairman of Greenwood Chamber of Commerce and former President of The Drucker Society of South Carolina. She was recognized by the S.C. Economic Development Institute for successful completion of the 2010 Community and Economic Development Program. She is a recipient of Piedmont Technical College’s Presidential Medallion Award and twice nominee for South Carolina Comprehensive and Technical Education’s A. Wade Martin Innovation award. Claire F. Kuhl is the owner of V&R Consulting, LLC, and co-author of Lean Potion #9: Communication—the Next Lean Frontier. During her career, Claire has managed hundreds of projects, including a $30 million business reengineering project and a 1½-year, $60 million process improvement/cost-reduction initiative. She served as Director of Knowledge Management in the largest US consumer credit reporting company and again in the world’s largest relocation & storage company. In a recent adventure, Claire led a virtual ecommerce project with team members in Florida, Chicago, Charleston, Massachusetts, and India. V&R’s clients range from national corporations to small-town NPOs and start-ups. Her extensive and varied experience ensures that she delivers solutions that work in real-life, not just in textbook case studies. Claire has a Bachelor’s degree from Furman University and an M.Ed. from University of South Carolina Upstate. She is very active in her community, enjoying her ninth year on the Greenwood Chamber of Commerce Board of Directors, and serving as Immediate Past Chair. 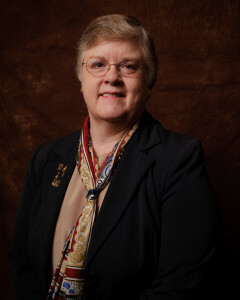 She received the 2011 Chairman’s Award for meritorious service to the Chamber. She has twice been recognized by the U.S. Small Business Administration as a South Carolina state award winner, and once as a southeastern regional winner. 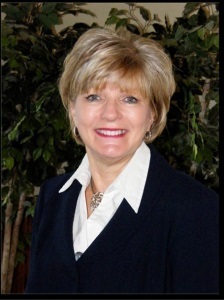 The South Carolina Business and Professional Women (BPW) named her South Carolina’s Career Woman of the Year.